Please refer to our stock # TC183 when inquiring. 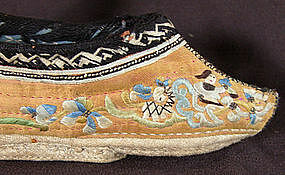 Obviously, these lotus shoes have been used and show signs of wear and a bit of dirt. They are intact and the embroidery is very fine.